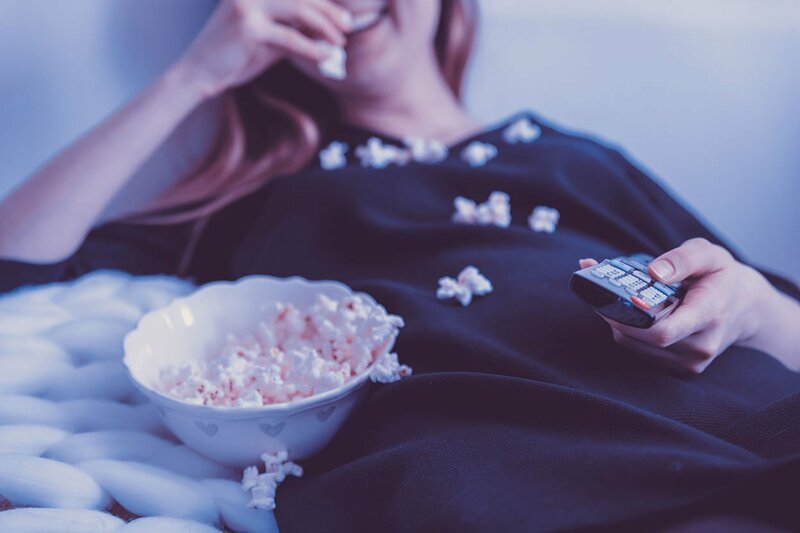 We may not know it but popcorn and the movies are built into our brains. Going to the movies and watching a movie with popcorn in your hands is so commonplace now it almost beats apple pie. So why not bring that feeling into your house? Theater popcorn makers are nothing that only businesses can own. Sure they buy machines that can handle a heavy load and wear and tear but your average family can have their own private antique popcorn maker that the household can enjoy. Its a great thing to have. Imagine the whole family sitting down in front of their big screen HD television watching a movie and being able to pop some popcorn with their own popcorn maker. You can invite over the neighbors and friends. They will love it. And whats best of all you will not have to pay $4.50 per bag with only a re-fill if you buy the super large bag that nobody can ever finish. Do not let the theaters and cinemas have a monopoly over you. They do not have exclusive rights to these machines. Get your own Popcorn Maker and make your own popcorn in the comfort of your own home. 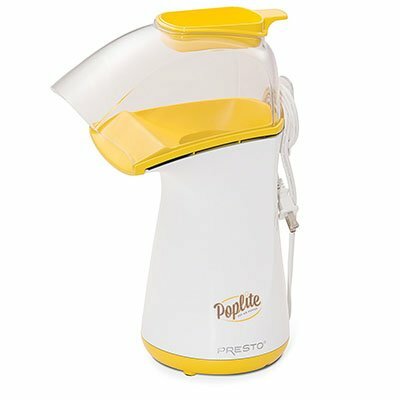 The Presto 04820 PopLite Hot Air Popper can produce up to 18 cups (two large bowlfuls) popcorn with virtually no unpopped kernels in less than 2-1/2 minutes. This is a popcorn maker that uses hot air instead of oil for popping the kernels. This results in popcorn that is healthier and lower in calories. The unit is supplied with a 1/2-cup measuring cup on top of the popper doubles as a butter melter. Place a knob of butter in the cup while the machine is working. It is easily cleaned by hand with warm, soapy water. The chute deposits the freshly made popcorn into a bowl placed below the chute. 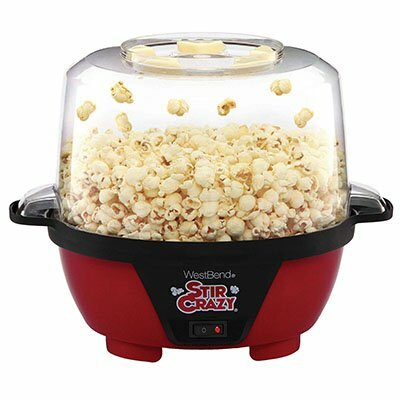 The West Bend 82306 Stir Crazy 6-Quart Electric Popcorn Popper is a 1000-watt machine that can make 6 quarts of popcorn in about 5 minutes. To do this it uses one tablespoon of oil per 1/4 cup of corn. 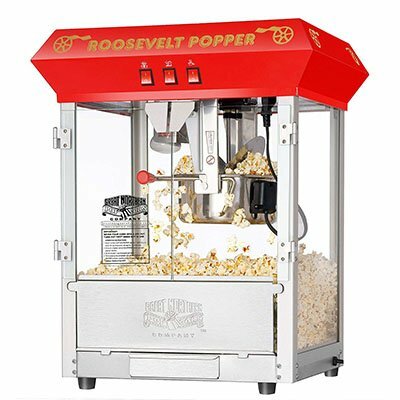 It is an improvement over the more classic style corn popper because of a motorized stirring rod which ensures that every single kernel pops. It is very easily cleaned with just a quick swipe of the sponge. 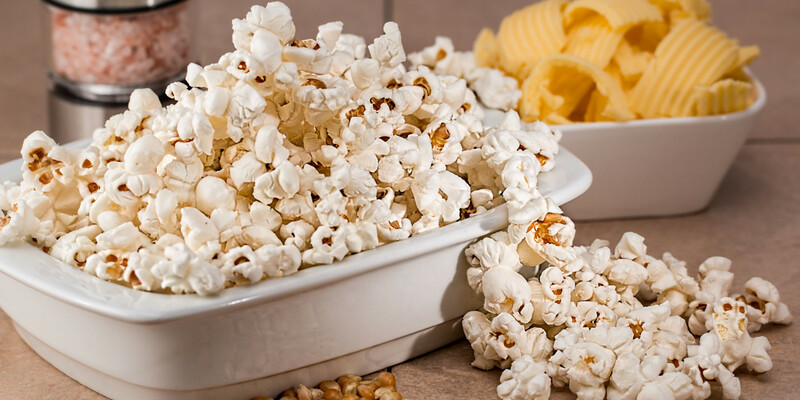 You can add a bit of flavor to your popcorn by placing a knob of butter in the specially designed butter well to melt over the corn as it pops. It has a plastic cover to contain the popcorn while cooking and also doubles as a serving bowl. When the corn has finished popping, simply turn over the lid, serve and enjoy. 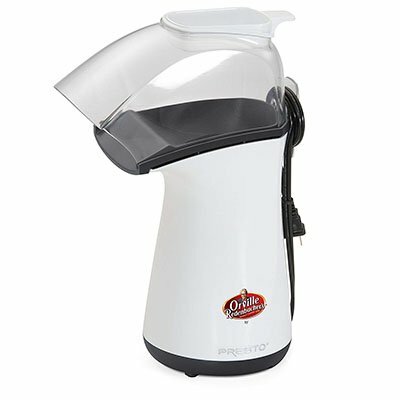 The Presto 04821 Orville Redenbacher's Hot Air Popper makes up to 18 cups (two large bowlfuls) of popcorn in less than 2-1/2 minutes with virtually no kernels that have not popped. This unit employs hot air instead of oil to pop the kernels. This results in a snack that is healthier and lower in calories than one produced using oil. As with most popcorn machines, there is a 1/2-cup measuring cup on top of the popper. This doubles as a butter melter. Just add a knob of butter, which melts during the popping process. You need to place a bowl below the chute to catch the popcorn as it is made. The cover is made from clear plastic, which is easily remove for hand cleaning with warm, soapy water. 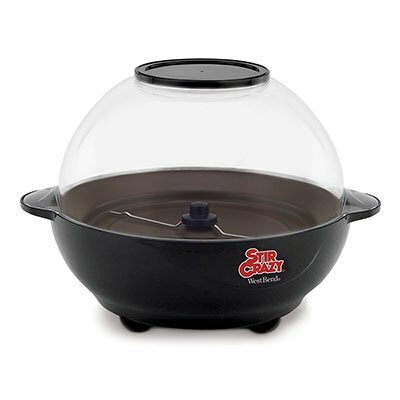 The West Bend 82505 Stir Crazy Popcorn Popper is the next generation of Stir Crazy poppers. It can pop up to 6 quarts of popcorn at one time. It is very similar to the West Bend 82306 in that it pops the same amount of popcorn as the older model but has a slightly smaller footprint. This model has a clear and vented cover can also be used as a serving bowl. On top of the cover there is a butter cap where you place a knob of butter. As the butter melts, it drizzles over the popcorn for added flavor. The motorized stirring rods make sure to get an even popping result. They will also automatically reverse to prevent kernels from getting stuck. An important point is that the handles are heat-resistant for safe and easy grasping. 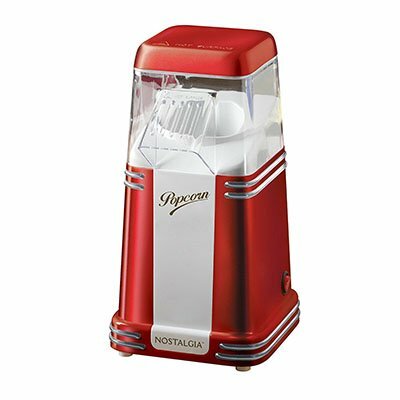 The Nostalgia RHP310 8-Cup Hot Air Popcorn Maker is a "retro" style Mini Hot Air Popcorn Popper. It give you that authentic and stylish 1950's look. As a result, it is a lot smaller and lighter than the more modern equivalents. This model can pop up to 8 cups of healthy, oil-free popcorn per batch. It includes a handy kernel cap for measuring out your popcorn kernels to ensure consistency. The clear top allows you to watch the whole popcorn popping process. As the popcorn is produced, it overflows into a bowl which you place below the spout. The Nostalgia SP660SS 6-Quart Stainless Steel Stir-Pop Popcorn Maker is another unit that is a popcorn maker and bowl in one. The clear cover is also used as a serving bowl. It is designed with a built-in stirring rod. This moves the popcorn around the teflon coated bowl and through the oil in order to prevent the popcorn from burning. You just simply add oil and wait for it to heat through. Then add salt and popcorn kernels to make batch of your favorite popcorn. The unit is very easy to use and easy clean up. 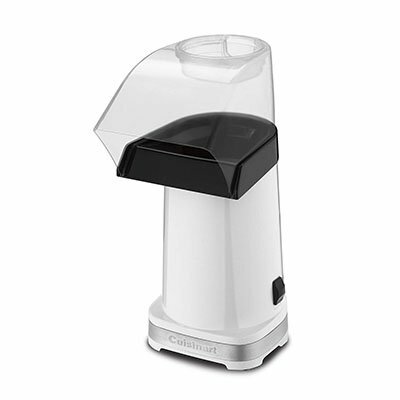 The Cuisinart CPM-100W EasyPop Hot Air Popcorn Maker produces batches of popcorn using hot air. It is healthier than the models that use oil and a heating plate to produce the popcorn. The corn kernels are added to the machine without oil which will produce up to 15 cups of crisp, oil-free popcorn in less than 3 minutes. The popping chute sends popped corn into a serving bowl. For extra flavor, you can melt some butter in the cup on the top of the popping chute while popcorn is popping, and then pour it over the popcorn. The popping chute can be easily cleaned by putting it into the dishwasher. 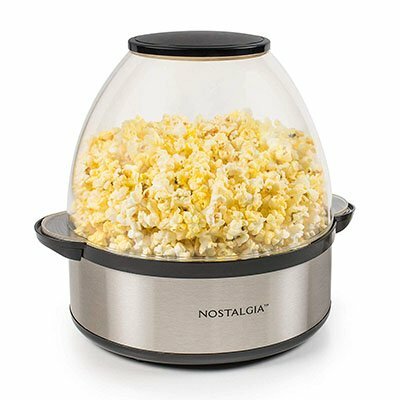 The Nostalgia RKP630 Retro Kettle Popcorn Maker will make hot, fresh and delicious popcorn just like in the movie theaters!It looks really great. It has a large, stainless steel kettle with a built-in stirring system which can pop up to 10 cups of popcorn per batch. Supplied with the unit is a measuring spoon for oil and measuring cup for popcorn kernels. The windows are ventilated and there is a light interior. You can watch and smell the popcorn as it is popping. There is a tilt door at the front that allows you easy serving access. 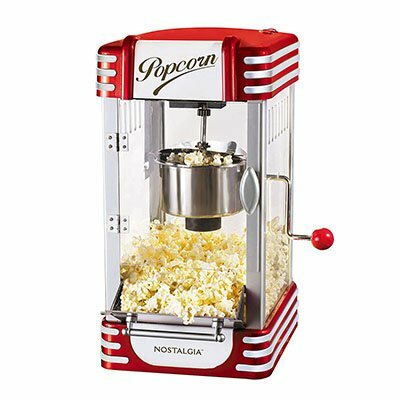 Great Northern Red 8oz Roosevelt Antique Style Popcorn Popper Machine comes complete with a cart! If you have the space in your home cinema, then this Popcorn Machine is well worth considering. This is a commercial quality machines that feature a stainless steel food-zone. It features an easy clean stainless steel kettle and warming deck. There are old-maid style drawers for any kernels that have not popped and tempered glass panels. It produces popcorn from an 8 ounce kettle that operates from 860 watt heating element. You just have to love the eccentric design with all the conveniences of the modern era.